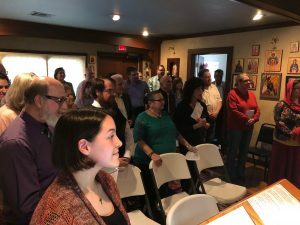 Last Sunday, March 17th, St. 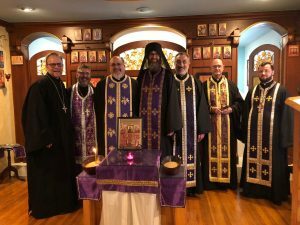 Basil Mission had the great privilege of hosting this year’s Pan Orthodox vespers. 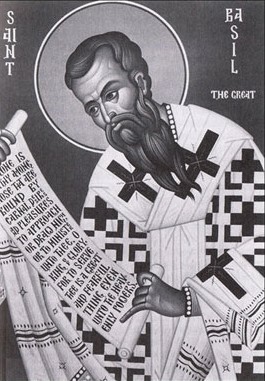 Orthodox faithful from St. Elijah’s Antiochian Orthodox parish and St. George’s Greek Orthodox parish in Oklahoma City, Holy Ascension Antiochan Orthodox parish in Norman, and St. Mary’s Ukrainian Orthodox parish in Jones. 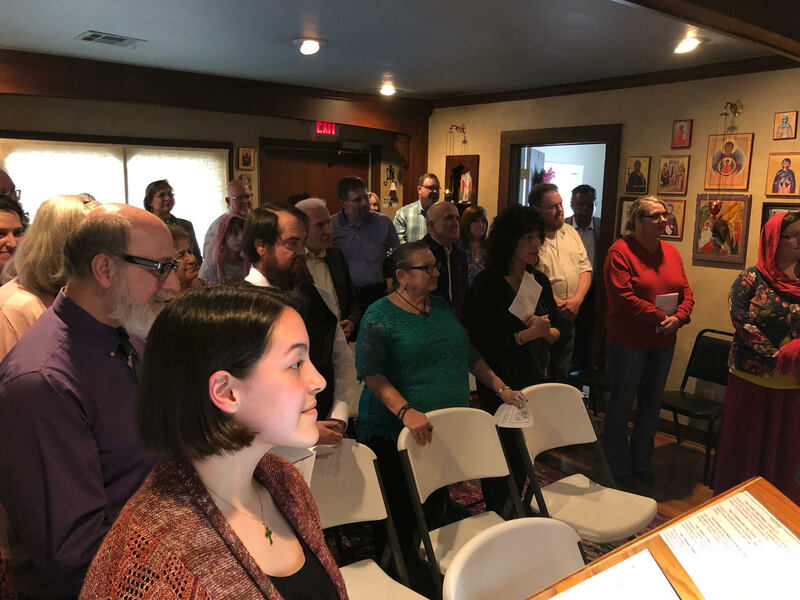 All gathered at our mission to celebrate the ‘Triumph of Orthodoxy,’ (commemorating the 7th Ecumenical Council of 787 AD) with an evening prayer service, teaching and lenten meal. 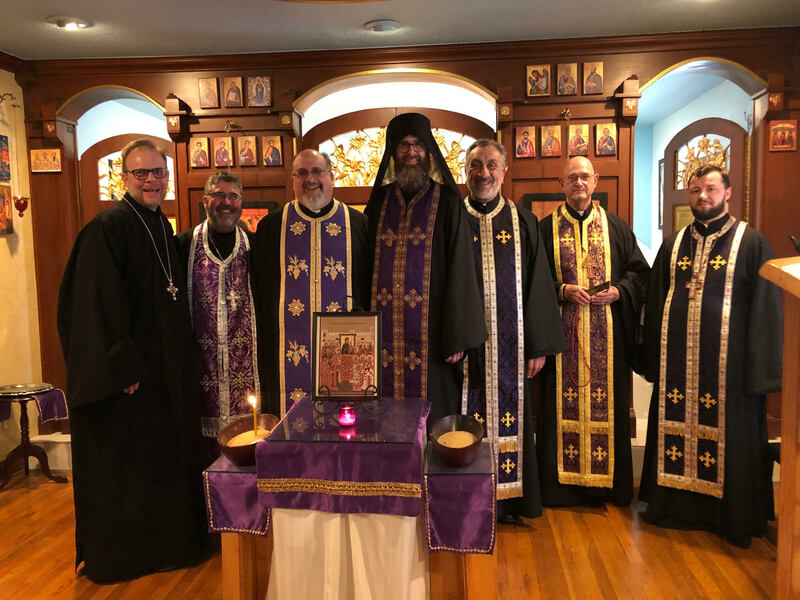 In attendance were (L-R) priests John Salem, Nick Aiello, John Tsaras, Jeremy Davis, Elias Khouri, Raphael Moore and Myron Korostil.